QuickLoans is compatible with Visual Composer, Slider Revolution, and Essential Grid. It has boxed and full-width page layouts. You can modify the layout of your site via drag & drop. A bunch of custom widgets and shortcodes are also available. 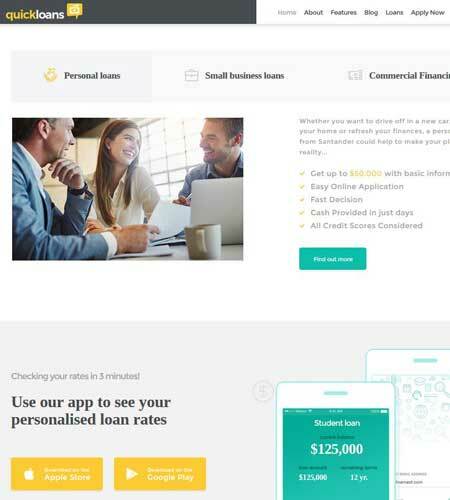 Thanks to this theme, you can put up a site to allow your visitors to keep up with industry news, calculate loan rates, and even apply for loans on your site. This is a paid theme by an Elite Author.